It’s time for the weekly lunch cook up! This week we’re going with a Eurpean theme. I picked up some organic ground beef at Costco to turn into easy baked Swedish meatballs and packed them up with roasted mushroom cauliflower risotto for my workday lunches. 1. Preheat oven to 400 degrees. Sauté chopped onion in 1 tsp olive oil to soften. In a large bowl, combine all ingredients and mash with your hand to combine. 2. 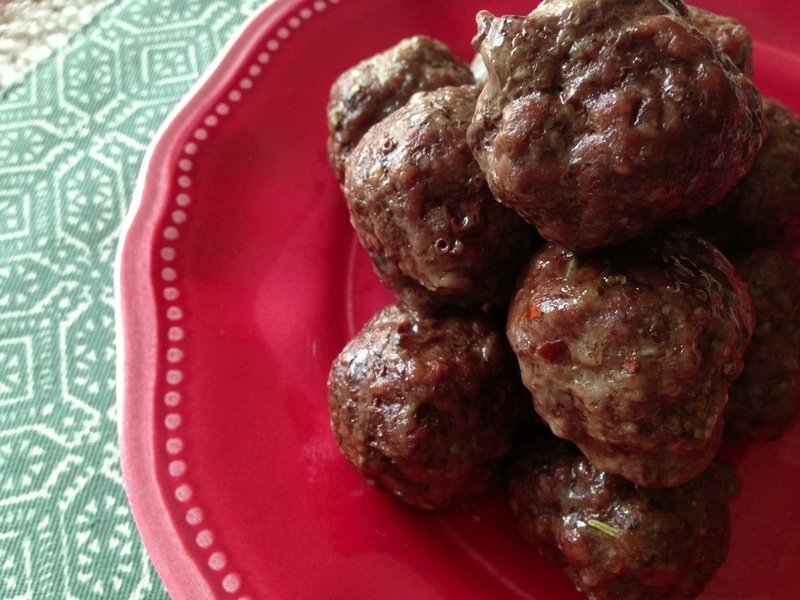 Roll the meat into 1 oz balls (a little smaller than a golf ball) and place on a baking sheet. 3. Bake for approximately 15-20 minutes or until the internal temperature of the meatballs reaches 160 degrees. 4. If you’re looking to make the Swedish meatball sauce, pour the drippings into a sauté pan, add 1/4 cup beef broth, and heat to thicken. Dissolve 1 tbs arrowroot starch in another 1/4 c beef broth and add to the pan. Heat and stir to thicken. Add heavy cream or coconut milk and continue to stir until the sauce has thickened to desired consistency. 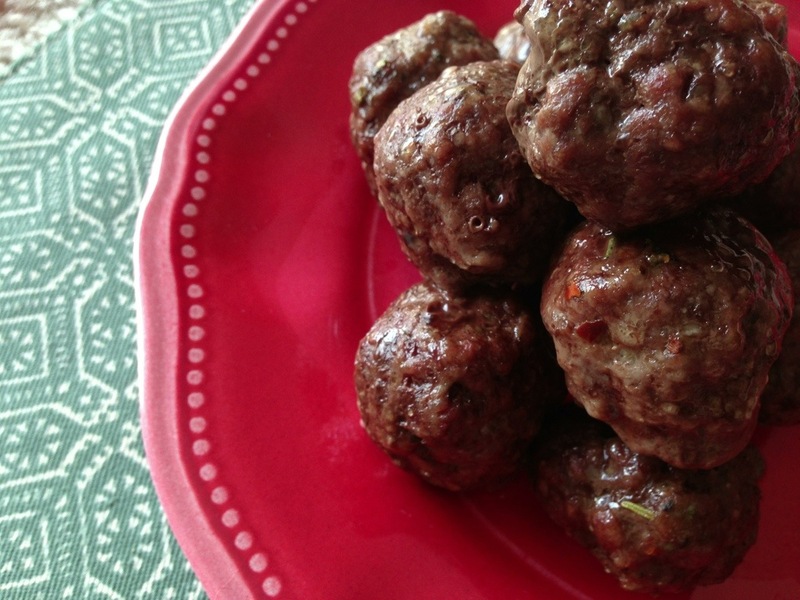 Season to taste and serve over meatballs. I didn’t make the sauce for the meatballs this morning, but I might make it fresh for the leftovers tonight. I think I have enough meatballs for 6 meals!